Now with AutoCAD 2017 support! for adding to existing CAD, PDF, and raster drawings. Create single or multiple collections of symbols from raster images. Symbol Library creation via easy user interface. 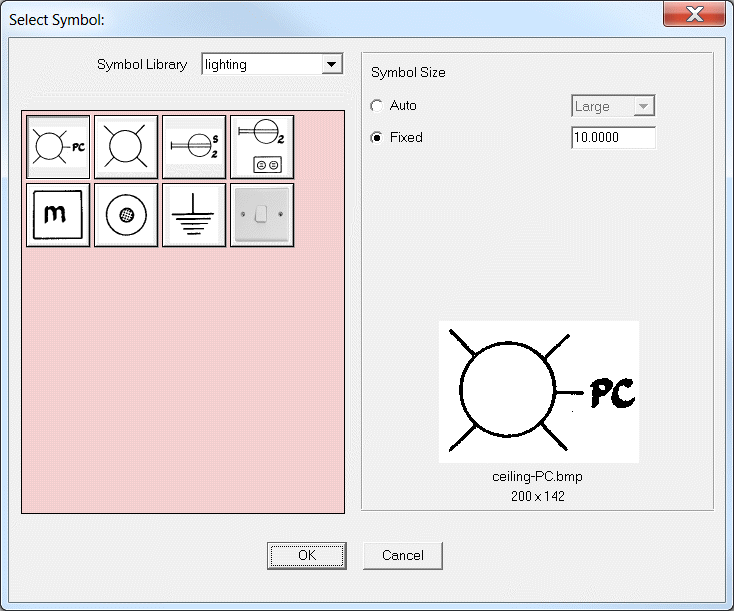 Easily access and add commonly used symbols to the drawing at a fixed size. Supports symbol creation using all common raster formats JPG, BMP, TIF, CAL, PNG. Compare CAD Viewer / CAD Markup / SymbolCAD /CAD AQ here.